Despite being an American brand, the affordable haircare range from Herbal Essences is an undoubted British institution. 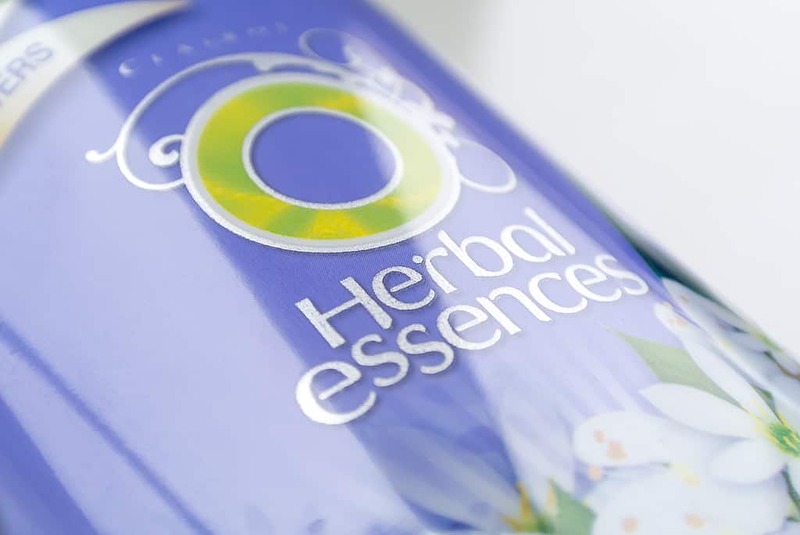 My dad loved herbal essences and I always remember them being in the shower from as young as I can remember, I seem to recall there always being a bottle of the Chamomile, Aloe vera and Passion Flower. 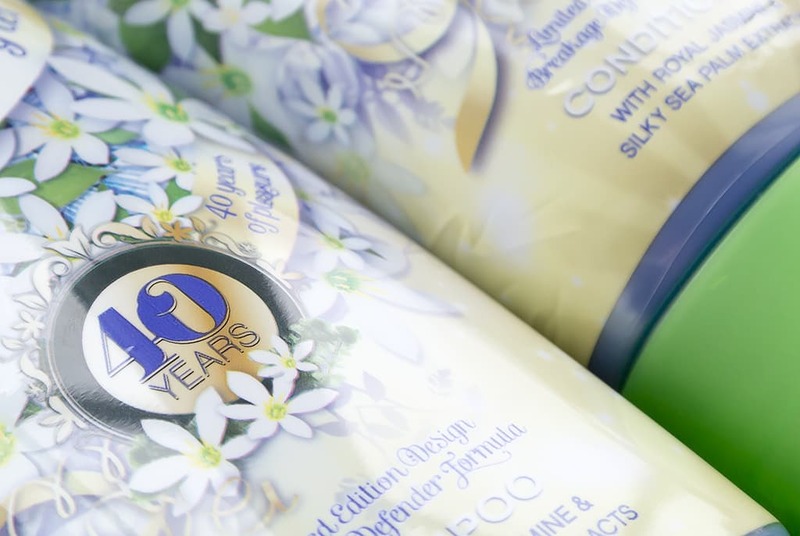 You might not be surprised then to hear that Herbal Essence is this year celebrating their 40th anniversary, and as part of their festivities they’ve asked me to share this fab achievement with you guys. So tell me, which was / is your favourite Herbal Essences product? If you can remember this advert from way back when, it finishes on a line of she lived “Herbally Ever After?” (oh I also found this amusing, original ad from France). This line has inspired the creation of two fabulous celebratory products from Herbal Essences named, funnily enough, Herbally Ever After. What I love about these wonderfully affordable products is that they don’t skimp on efficacy, nor are they loaded with silicones and tonnes of haircare nasties, all whilst exuding an incredible scent of royal jasmine and sea palm, creating a floral yet slightly mouth watering fragrance. The shampoo is gorgeous and creates an insane amount of lather. Your hair feels clean but it didn’t leave me feeling dry and stripped. The conditioner, also in the same fragrance, is rich and creamy, melting in the hair and delivering a decent amount of moisture. Afterwards, you really can smell the products, although it’s very difficult to smell my own hair, being a boy with a relatively short cut hair. The bottles are 400ml and will last an age as you don’t seem to need very much which seeing as though they’re priced at £3.79 rrp, is enormously good value. I think the couple would make a nice little edition to any Mother’s Day gift, just so she can try something different. 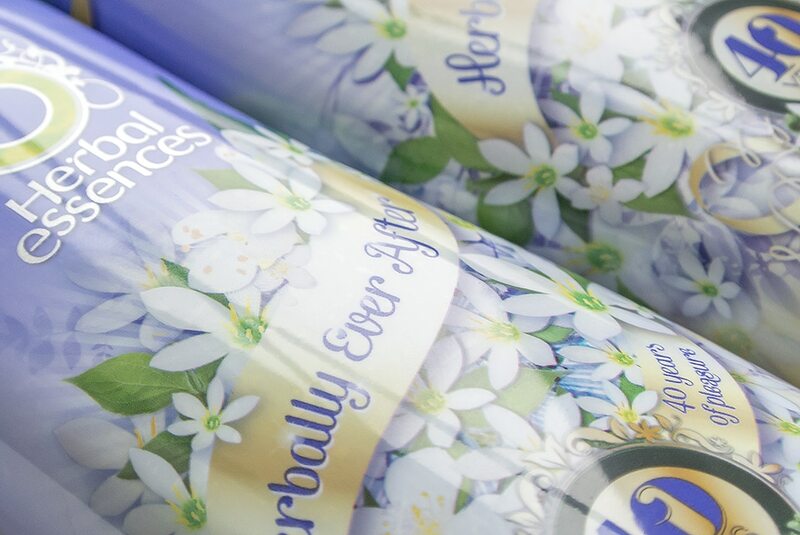 To explore the rest of the Herbal Essences products, you can visit the website to discover the range. Anyway, enjoy my first post using Vine, showing my own Herbal Essence “yes, Yes, YES!” moment. Open to all residents in the UK aged 18 years or over only, excluding employees of Procter & Gamble UK and its affiliates or agents, the families of such employees and any other person connected with this promotion. After the closing date the winner will be chosen by a panel of judges including Ben Cooke and an independent adjudicator based on the best comment. Winners will be notified via the blog within 14 days of the closing date and they have 7 days from date of notification to confirm their win and provide details of their name and address, otherwise the promoter reserves the right to select an alternative prize winner. The 2nd and 3rd prizes will be delivered within 28 days of prize claim being received. Winners may be required to take part in reasonable publicity associated with the promotion. There is no cash alternative in whole or in part. The Promoter will not be liable for entries not received, incomplete, delayed or damaged. Promoter reserves right to provide prizes of equal or greater value if prize is unavailable for any reason. This article first appeared on MANFACE written by Thom Watson. It was published on Tuesday 26th February 2013 and was last updated on Monday 3rd April 2017 at 3:51pm. It's categorised under Hair, Herbal Essences, Shampoo where you'll find more related content. Mum uses this all the time, love the idea of a Mother’s Day gift. I’ll have to go and check it out. I loved Herbal Essences. I haven’t really used it since the brand changed but I used to love the bottles lined up on my bath, so classy.